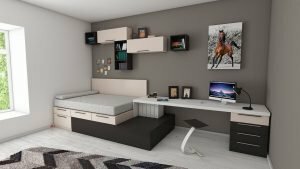 Apartment decoration is somewhat more challenging than decorating a house – usually, there is less space and apartments do tend to come in rather dull wall, floor, cabinet and other finishes. Furthermore, the trick is to stay within the confines of a target budget, which takes a lot of consideration and planning. In order to save your time, we’ve outlined some tips that will help you decorate your apartment without spending a fortune. Okay, so this might not seem like a decoration tip, but trust us, it most definitely is. First of all, you can’t even hope to start arranging/rearranging your apartment if everything isn’t clean and clear. Secondly, visualization is an important factor in apartment decoration and a bunch of stockpiled stuff is definitely not going to help here. Finally, by getting rid of the clutter (no, not storing it away or rearranging it, getting rid of it) you’re making sure that you have as much wiggle room for decoration as possible. Of course, you should know what to avoid when approaching a decluttering project. Sure, up front, the idea of ‘DIY’ is all about investing your time to save money, and this is completely cool! However, why stop at the budgetary reasons? Think about it, going DIY wherever you can in your apartment decoration project will give you the freedom to customize everything according to your preference! What’s more, the feeling can be rewarding too; you’ll be making your own stuff! Instead of thinking of a DIY project as a sacrifice of time, consider it a creativity investment! There is a huge number of manuals and blogs online that can help you accomplish great things for your apartment. Ask your friends or family to help you out, roll up your sleeves and get your hands dirty! 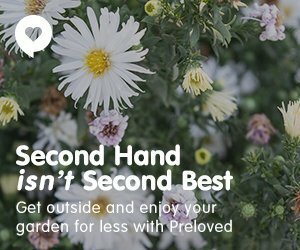 The term “second hand” has a bad rap – everyone loves brand-new stuff! However, if you drop this meaningless preconception, you’ll learn that buying second-hand stuff, from furniture to decorative items is a thrilling experience! The true magic of previously owned items is the sense of accomplishment you get when you find a perfect item after you’ve put in some effort into it. You can’t just browse for a perfect item online and order it; oh no, you have to actually go browsing in real life! Sure, this might seem like a waste of time in the beginning, but once you’ve found that perfect, cheap item at a local second-hand shop, you’ll change your mind immediately! 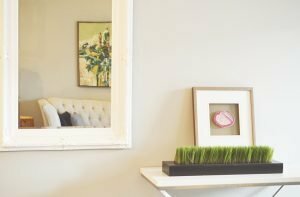 That’s what’s so exciting about equipping your apartment with second-hand items: when you see a perfect fit, you’ll know it – something that will bring inspiration and good vibes into your home. Sure, the television might be a dying trend, but a TV set will remain the centrepiece of any living room for many years to come. You might’ve completely given up on television, but you’re going to need that large living room screen to watch Netflix shows and play video games on, right? Turning your common room into an entertainment/living room hybrid is a fantastic idea. However, this means that the whole place will have to be very tidy – no cables sticking around. 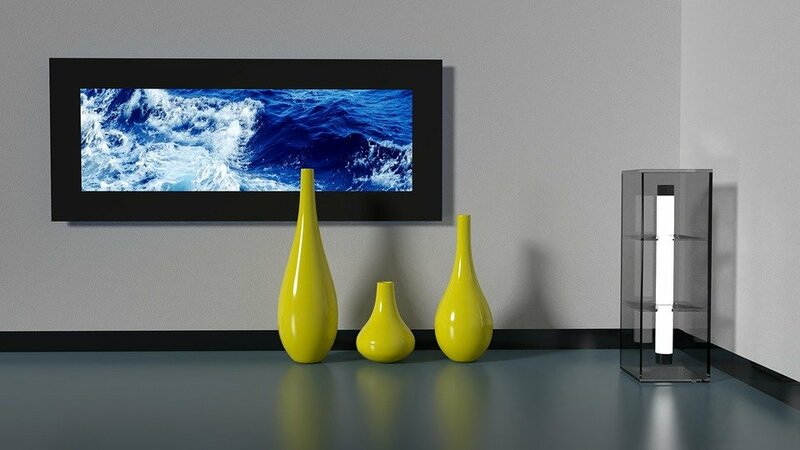 Furthermore, a couple of fantastic ideas for peripheral elements, such as the DVD/Blu-ray player, gaming stations, etc. are an absolute must. Installing a home theatre in Brisbane is easy if you contact professionals who will do it quickly and efficiently. Take the money that you’ve saved up by DIY-ing and buying second-hand items, and invest it here! These ideas will help you make the most out of your apartment decorating budget. The most important thing here is financial prioritization – there are ways to save money (DIY, second-hand items), but some things require investment. In any case, start by clearing the clutter and visualize your perfect apartment from there!